Fresh Thoughts for Your Monday: Celebrate! Give Thanks! It's the week after Thanksgiving, but that doesn't mean that thanksgiving is over. Look up! Smile! Celebrate! Dance the joyful dance of gratitude for all that you have in your life. Invite others to join in that dance with you, passing your blessings freely on to them. 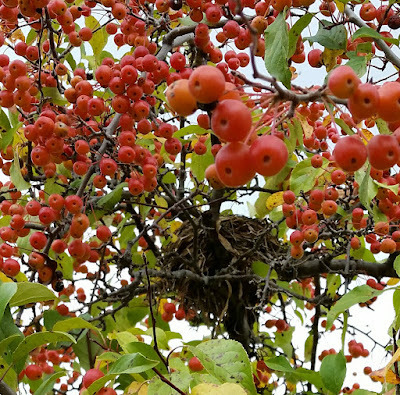 Today, this week: Give thanks for the abundance in your life. Feel the light in those blessings. Then, share that light with others. 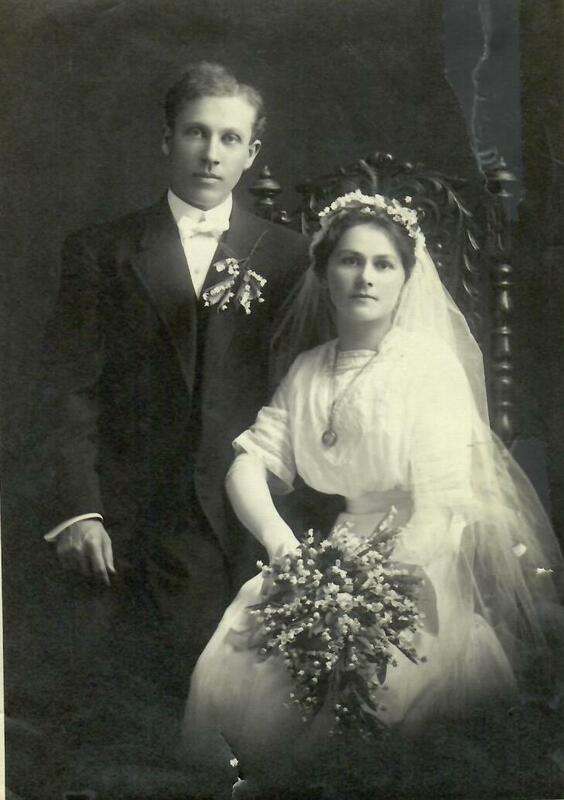 Frank Naidl and Josephine Fronk were married on September 27, 1911. The groom wore a suit and a white bow tie, his thick, curly hair tamed to the best of his ability by parting it on the left side. The bride, a beautiful woman with expressive hazel eyes, was dressed in an airy foam of white cinched by a wide band of ribbon that accentuated her tiny waist. Her white net veil, secured to her head by a crown of flowers, cascaded behind her. 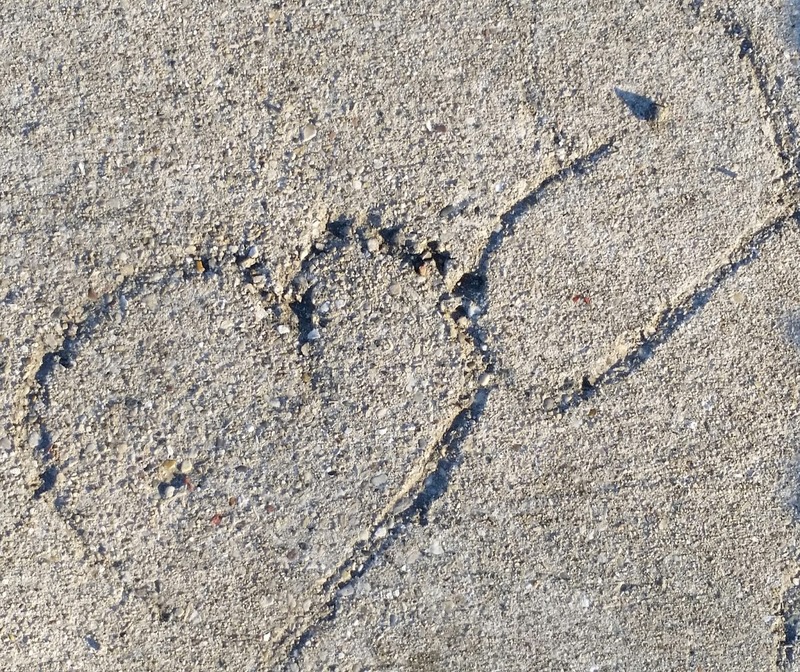 Mr. and Mrs. Naidl were on the beginning of a journey of love and life together. Frank and Josie made Two Rivers, Wisconsin their home. Two years into their marriage, Frank and Josie welcomed their first child, a daughter named Edna Victoria. Soon thereafter, they welcomed a second daughter to their family, Norma Mary. 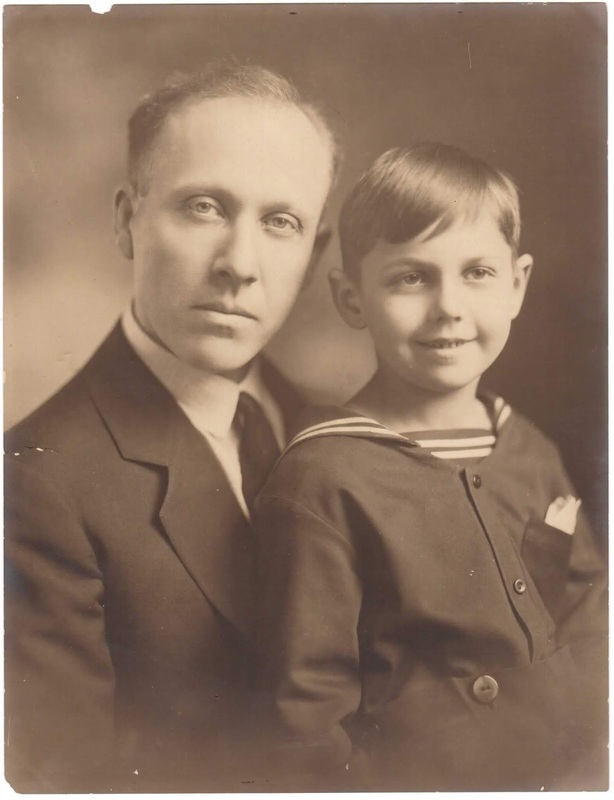 By 1918, the family was to expand again, this time with the birth of their son, Roy Paul, on November 21. Another daughter, Maryan, would follow in May of 1925. Roy Paul was a chubby-cheeked little boy, who as a toddler, liked to say "chucky, chucky, chucky." 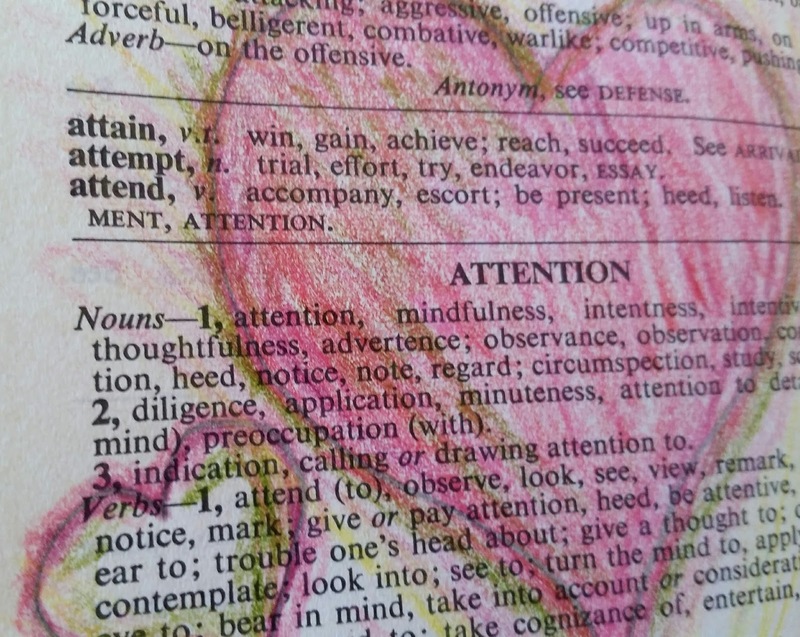 The child's "talking" drew his family's attention. 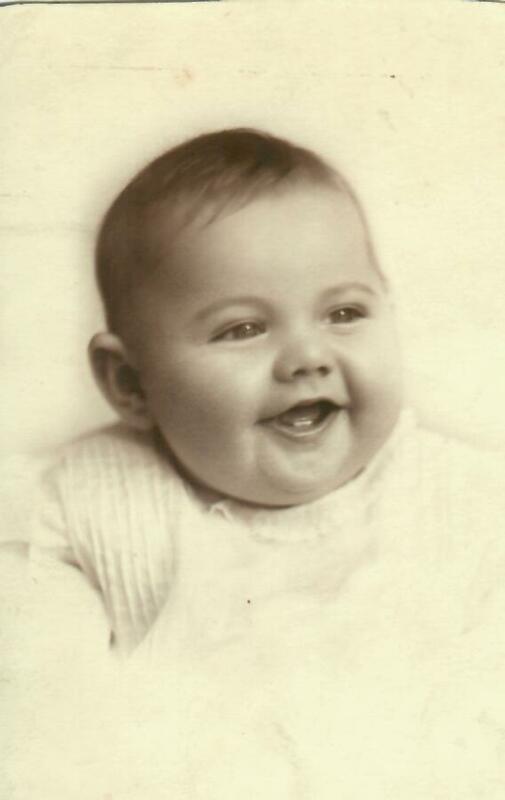 Soon little Roy Paul became known as Chuck, a nickname that would stay with him through the remainder of his life, with most people thinking that his legal name must be Charles. My grandmother, Josephine "Josie" Fronk Naidl, was born in 1891 in Bolt, an unincorporated community located in Kewaunee County in northeastern Wisconsin. While still a small child, she and her family moved to her grandparents' farm in nearby Tisch Mills, another unincorporated community located in Kewaunee and Manitowoc Counties. As a child, Josie would walk across farm fields in order to attend school. When her family sold the farm, Josie, age 14, and her sister, Anna, moved to nearby Two Rivers, Wisconsin to find work. It was there that Josie became a nanny and where she would meet my grandfather. My grandfather, Frank Naidl, was born in 1884 in Two Rivers, Wisconsin. He was known throughout the community and greater Two Rivers area as a beloved portrait photographer and member of the Gloe-Naidl Orchestra. 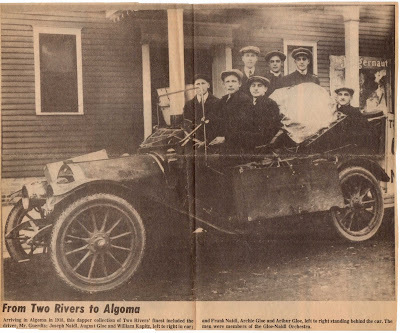 In this 1918 photo, the newspaper referred to the group of gentlemen pictured as "this dapper collection of Two Rivers' finest" -- members of the Gloe-Naidl Orchestra, a popular local musical group. Standing in the back at the left is my grandfather, Frank Naidl. 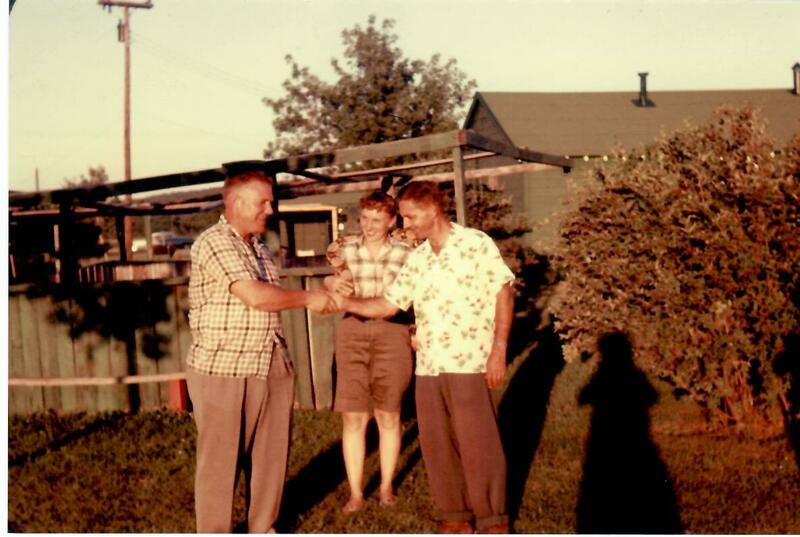 My grandfather, Frank Naidl, and my father, Chuck Naidl. 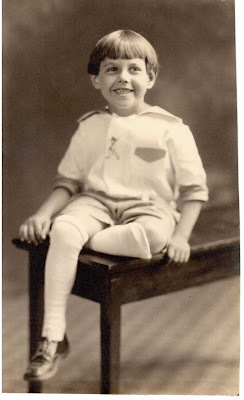 I love my grandfather's kind eyes and the joyful smile and sailor suit my dad is wearing. Dad didn't share many stories about his father when I was growing up, likely because Grandpa died when Dad was so young. Dad did share this one story about Grandpa, however, that epitomized his gentle character. One year, Grandpa offered to buy my dad a pony. While outside playing one day, Dad smacked a baseball that resulted in a broken window on a neighbor's property. Grandpa reportedly explained in a calm manner that the money that would have been used to buy Dad a pony would now have to be used to replace the neighbor's window. Dad accepted the outcome and never forgot the important part of the story wasn't that he didn't get the pony he wanted, but that his father had relayed that difficult message kindly and calmly, with no raised voices. My dad went on to become that type of father, too. Sadly, Frank passed away suddenly in 1925, only 14 years into his marriage, from what family members indicated was probably a brain aneurysm. His death took place only a couple of months after his daughter, Maryan, was born. At the time of my grandfather's passing, an article in the local newspaper reported: "While at work in his studio, Saturday morning, Frank Naidl was stricken with a sudden attack of illness that caused his death at noon, two hours after the attack....While not of a strong physique, Mr. Naidl always appeared to be healthy and of a quiet, but happy disposition....He had been in his usual health and was at work in his (photography) studio and about the city, Saturday morning. He complained of a severe headache and went to his room where he suffered severely until the end came." 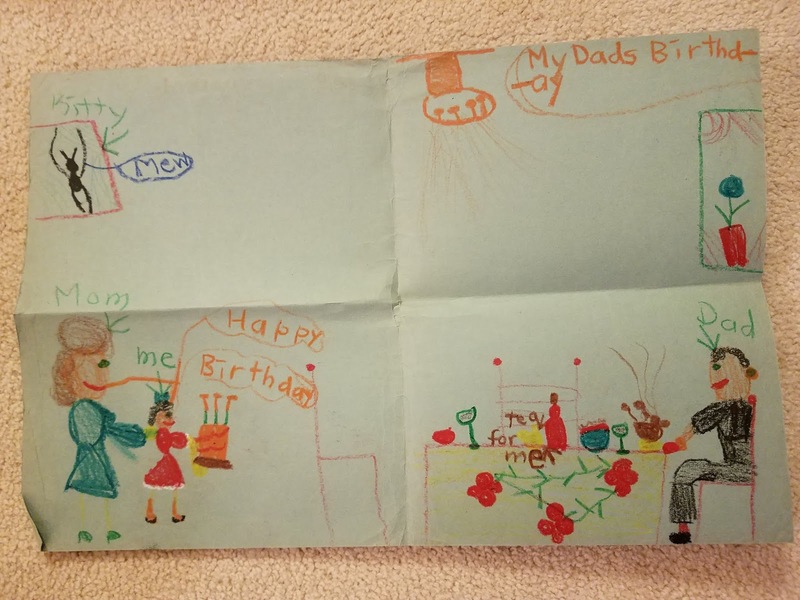 My dad was only seven years old when he lost his father. His oldest sister was only twelve. His youngest sister was only an infant and would never know her father. A newspaper article about my grandfather, Frank Naidl's, sudden death at age 41. With the death of his father, my dad became the only man of the house--at age seven. His mother, my grandma Josie, would keep the family intact by selling her baked goods to wealthier residents. Dad would report of transporting those baked goods in a coaster wagon, delivering them to the households where orders had been placed. Grandma later worked for the Hamilton Company in Two Rivers. Despite difficult times, especially during the Great Depression, Grandma Josie, with strength, faith and determination kept her family together. Grandma died in 1972 at age 82. My father, Chuck Naidl, as a little boy. I love his Buster Brown haircut and little-boy clothing of the day. From childhood, my father had a deep curiosity about and unwavering interest in reptiles, especially snakes. If he wasn't playing or coaching basketball, Dad devoted his time to studying snakes and collecting them. According to my dad, Grandma Josie wasn't particularly fond of his pets, yet she indulged her only son by allowing him to keep a few snakes in cages at home. She even would help him by moving the cages from window to window whenever he wasn't around in order to give the snakes ample sunlight. My father's senior photo. He graduated from Washington High School in Two Rivers in 1936 at age 17. In his 1936 yearbook, he signed his name as "Roy Naidl 'Chucky.'" Beside his name was this quote: "Yet, what are they, the learned and the great?" in the "Commercial Course" and the "Civic Service Society 4." Six years after his high school graduation, on March 16, 1942, Dad was inducted into World War II service for our country in the U.S. Army. Dad rarely spoke about his war experience, choosing instead to keep those memories hidden deep inside him. 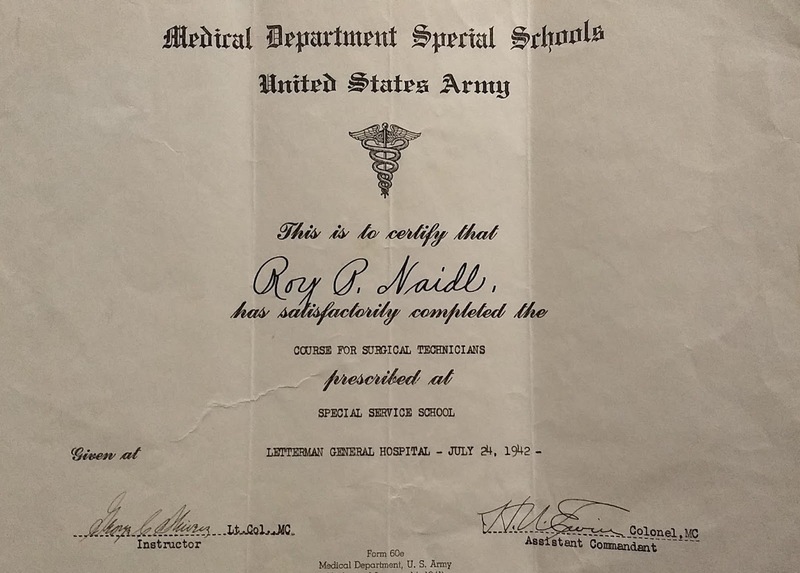 Among Dad’s belongings when he died on July 30, 1984 were items from his military service, including his Honorable Discharge paper, which reported that he had served in Normandy, Northern France, Ardennes, Rhineland and Central Europe. He had seen some of the worst WWII battles in Europe. One not prone to argument, let alone battle, war must have been a very difficult experience for my father. As a medic, he saw atrocities and battles that he couldn't talk about afterward. Yet, he served with honor. 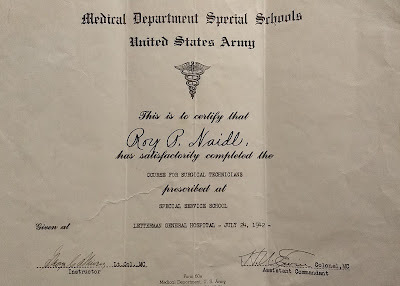 Dad received training in the U.S. Army as a surgical technician. 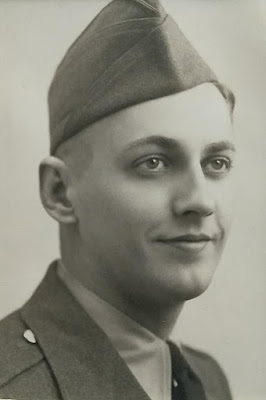 Dad came home with a Purple Heart, a Good Conduct Medal and a European African Middle Eastern Theater Ribbon with one Silver Battle Star, among other medals. 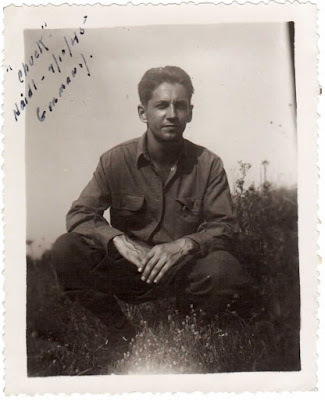 In February of 2014, I was reminded of Dad’s military service when I found myself staring into a black and white photo of him as a 27-year-old man. A good family friend and his nonagenarian mother had been looking through old photo albums and found that photo of my father. Dad is shown squatting in tall grasses, his forearms resting on his thighs, his hands clasped casually. His face is thin and tan, his brow furrowed, his eyes focused, his hair thick and perfectly groomed. He appeared to be dressed casually. He might have been wearing his U.S. Army-issued fatigues. On the front of the photo, Dad had written "'Chuck' Naidl - 7/10/45 Germany." 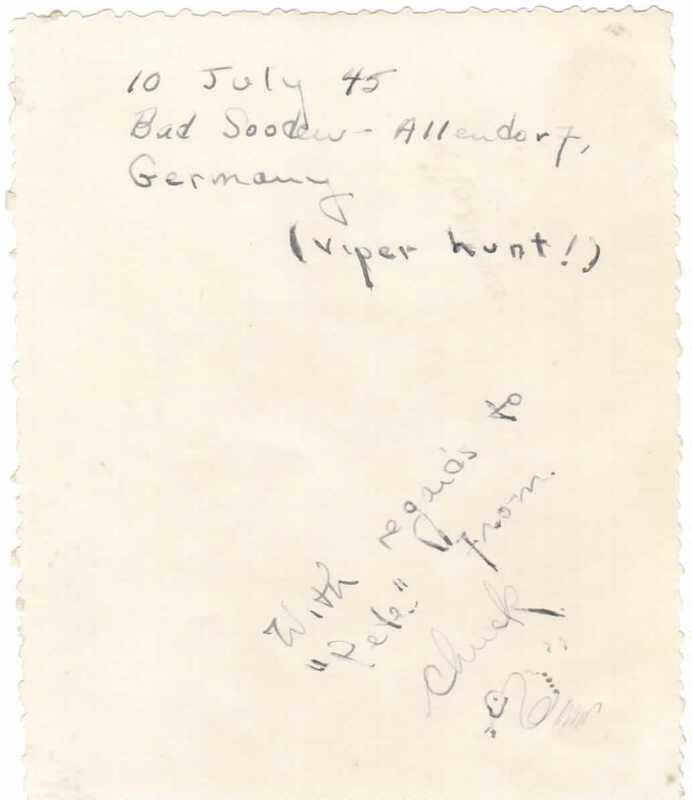 On the back, he wrote: "10 July 45, Bad Sooden-Allendorf, Germany (viper hunt!). With regards to ‘Pete’ from Chuck." Underneath his signature was the cartoon rattlesnake that Dad often drew under his name when he sent letters to me. A photo of Dad "viper hunting" in Germany at the end of WWII. The photo came into my possession in 2014--30 years after Dad's death--from a family friend. What a gift it was to receive this surprise photo 30 years after my father had passed away and to be able to look deeply into the face of the young man who would a decade later become my dad and who would, for the rest of his life, share the good news about reptiles in our ecosystem. would later serve as a witness, along with his wife LaVerne, when my parents married in 1948. 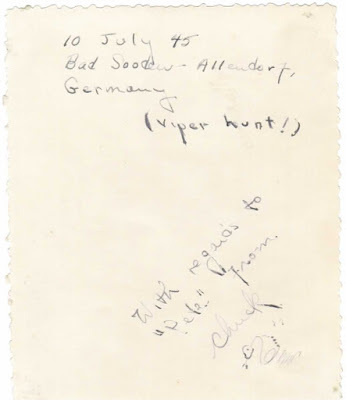 Although the atrocities of war must have affected him deeply, my dad found a way to feed his passions by going on a "viper hunt," even in war-ravaged Germany. 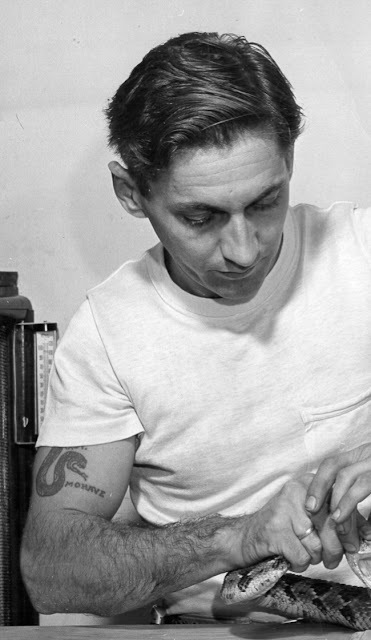 While stationed in the Mojave Desert for a short stint during the war (where he mainly referred to having to eat lots of fig cookies as a source of nourishment, something he consequently never chose to eat afterward), my dad acquired a dark blue tattoo on his upper right arm of a rattlesnake and the word "MOHAVE." that he received while in the Mojave Desert during World War II. Next to the snake's extended tongue is the word "MOHAVE." My father was honorably discharged from the U.S. Army on October 13, 1945. His Honorable Discharge citation read, "This certificate is awarded as a testimonial of Honest and Faithful Service to this country." Coming home from the war wasn't easy for Dad, as he had experienced such horrific battles. To aid him with his restlessness, he turned to his favorite subject of reptiles, spending time at Reptile Gardens, an animal park located south of Rapid City, South Dakota, and also in what is now the Everglades National Park on the southern tip of Florida. Dad, camping in the Everglades post WWII. Note the raft for his snake-hunting expeditions. Dad appears to be holding an Eastern Indigo Snake. Another scene from Dad's time in the Everglades, holding an Eastern Diamondback Rattlesnake in his bare hands. 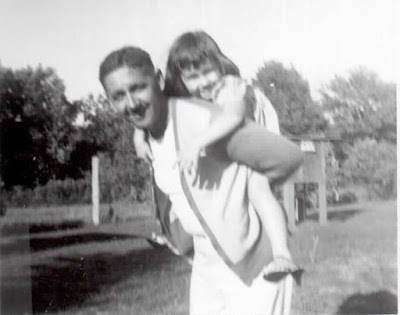 Dad's travels would eventually take him to Baraboo, Wisconsin, a place with which he fell in love and which would become his home and that of my late mother--the only home the two would share for 35 years until his passing. Together, they would operate Chuck Naidl's Reptile Farm on U.S. Highway 12 south of Baraboo. at our family's reptile farm in Baraboo, Wisconsin. My father's lifelong fascination with reptiles would cause him to study them in earnest and to spend his career lecturing about their virtues to students of all ages in school programs across the United States for some three decades. My young father, eye to eye with a Timber Rattlesnake. 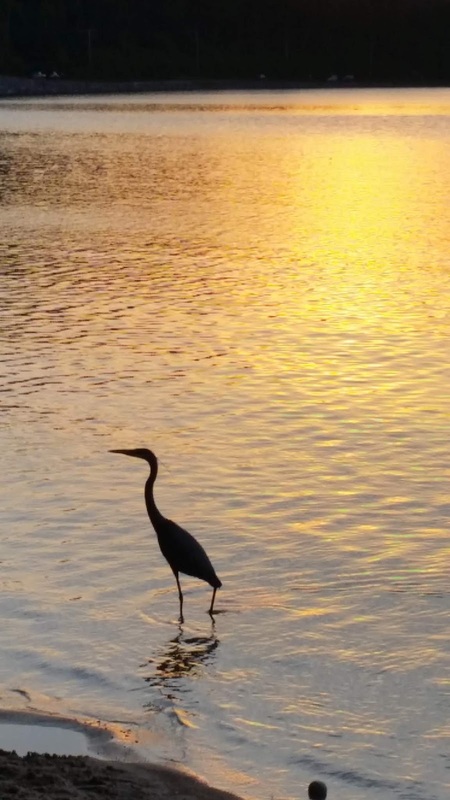 We end where we began with the first post about my dad on July 30, 2018 (the anniversary of his death) -- just like the circle of life. Dad and me having some piggyback time at our family's reptile farm. Note my high-heel "play dress-up" sandals and the snake cage on posts in the background. As I noted in my first post in this five-part monthly series, while known across the United States as "the snake man," Chuck Naidl was first and foremost for me, simply Dad. My father enjoyed an extraordinary career doing exactly what he loved to do, being "the snake man." And I was lucky enough to be part of that amazing life. 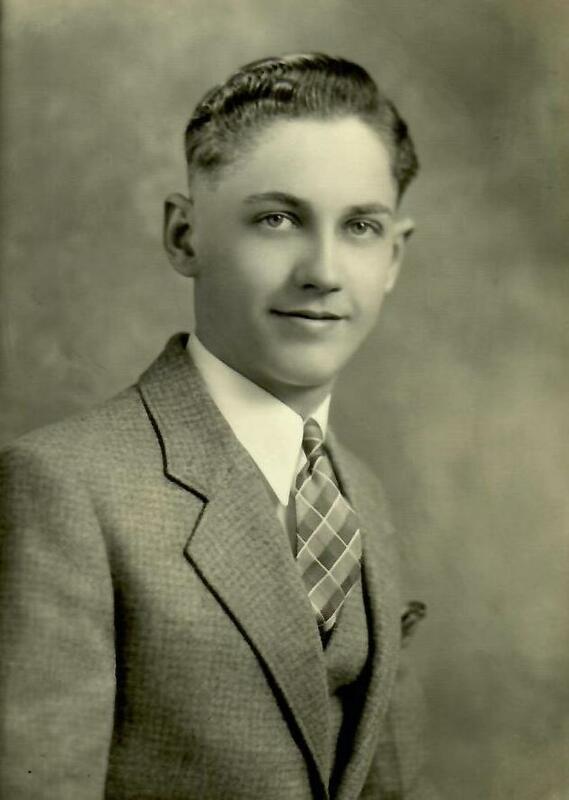 Thank you for joining me on this journey about my dad, Roy Paul "Chuck" Naidl, who would turn 100 years old today. 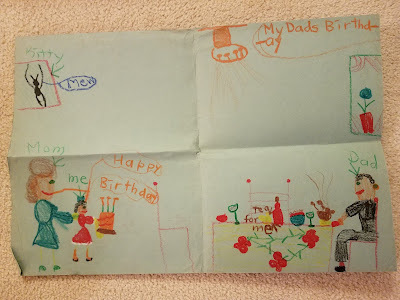 I drew this picture in celebration of my dad's birthday when I was around six years old. An artist obviously I am not, but there are some fun glimpses into our life revealed throughout. You'll notice that reptiles don't factor into my depiction, but our pet cat with extremely long legs does. Dad would turn 100 years old today - November 21, 2018. If you would like to learn more about my father, please visit the Sauk County Historical Society (https://www.saukcountyhistory.org/), which preserves photographs, archival items and artifacts from my dad's life and career. Happy 100th birthday, Dad. Love you, always. At this time of year when the commitments on our calendars seem to increase, leave the hectic pace for just a while. The Thanksgiving preparations can wait. The holiday shopping can wait. Observe the beauty around you. Enjoy the joy of being. Today, this week: Learn the art of slowing down so you can enjoy your day. Fresh Thoughts for Your Monday: It's a New Day! You have just received a gift—a beautiful, big gift wrapped in the finest of paper and tied with an elegant bow. That gift is this new day! We may think that our days will go on and on forever and ever, but we know (especially as we grow older and are forced to confront the realities of life) that those days have always been numbered. We will receive only so many of them. Therefore, what will you do to honor the gift of this day? Today, this week, show your gratitude for the day’s gifts and blessings. 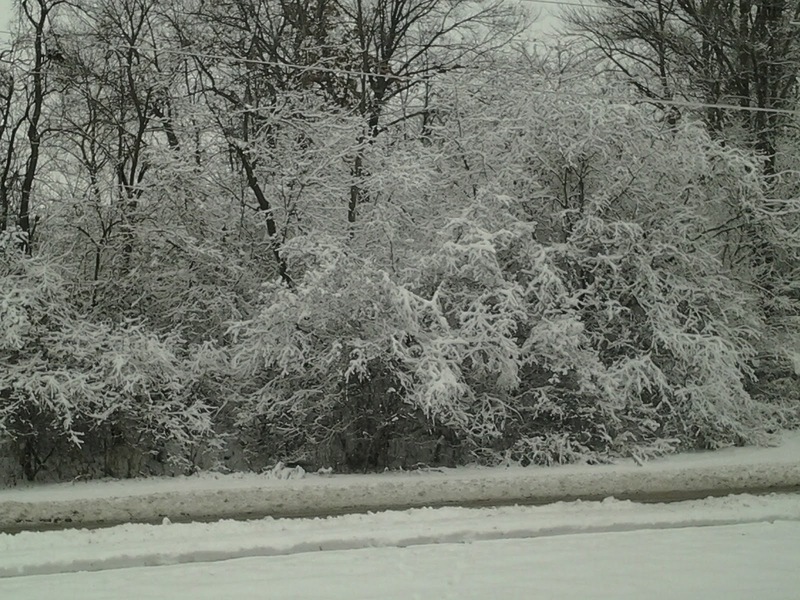 It’s November. Thanksgiving will be upon us in just a few weeks. When you think about Thanksgiving—both the holiday and the state of being—what can you name right now that you’re thankful for? When you’re grateful and you see abundance in your life, have you found that your perspective changes and it’s easier to see more and more abundance, that your abundance grows? When you’re grateful, does it help you to see that you have “enough” in life, that it changes your needs and wants? Today, this week: Ask yourself, “What does having ‘enough’ mean to me?” Then, cultivate a spirit of contentment. This post was first published on November 10, 2011, one month after I had started this Time to Be blog. As I celebrate seven years of blogging and the milestone of my 1,000th post this month, I delved into my blog archives and drew out this post. We're all on a journey. 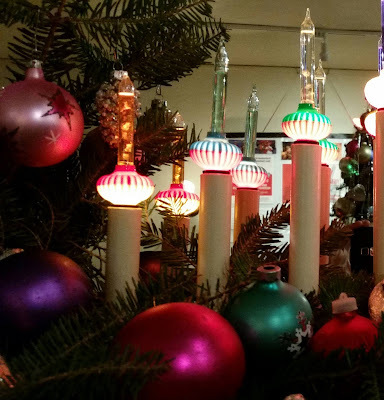 I hope this post helps light your way. Thank you for being part of my blogging community! Who am I? Where have I come from? Where am I going? Why? These questions are fundamental to my life's journey, but how often do I ask them in order to shed light on my path? 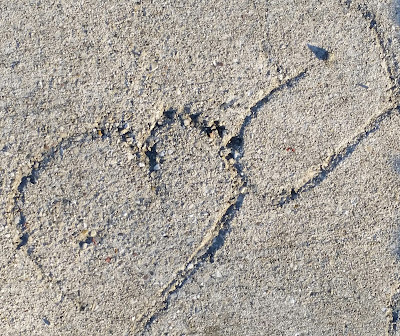 When taken in a different context, they can serve as a metaphor for life's bigger questions and our continuous quest for fulfillment and happiness. I dare say that the answers are not always easily found and they will likely change with the seasons of our lives. But, I appreciate the act of pausing, asking, listening and reflecting on them, all the while having faith that I'm where I'm supposed to be right now. Who am I? Where have I come from? Where am I going? Why? Spend time contemplating these questions. Are you satisfied with the answers you hear? 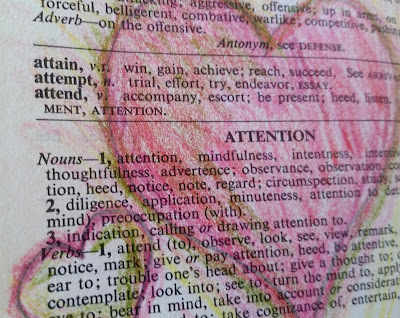 * November 2018 addendum to my original, seven-year-old post: Read With All We Are: Mission, purpose and transformation by Donald Eggleston, M.ED, M.DIV, published in 2018 by Mission Works Publishing, LLC, for more about these vital questions -- and more. Don’s thoughtful approach makes the questioning journey for individuals and organizations both accessible and revealing. Today marks my 1,000 post in this Time to Be blog! I’m happiest when I make time for those I love and care about. My life is richer because of them. Therefore, I make time in my day and my week to dedicate time to those who are most important to me.